Fun math practice in a maze! 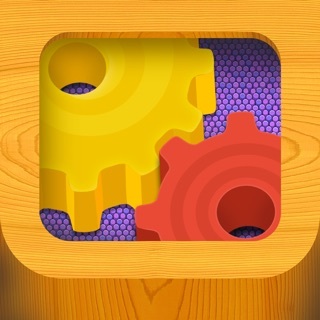 Solve math problems by collecting numbers as you move your marble through a series of fun mazes (with audio questions for emerging readers). 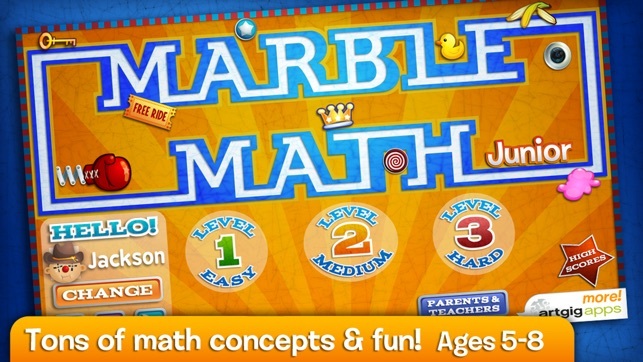 Based on the Common Core Curriculum, Marble Math Junior is an engaging way for early elementary students to practice mental math. 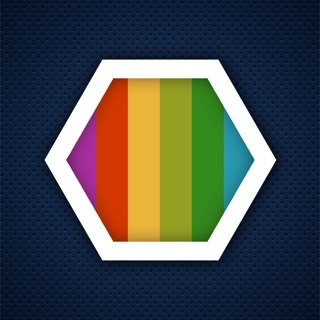 Earn new marbles and collect bonuses while reinforcing key concepts in pursuit of a high score. But watch out math whizzes! You’ll need to be focused and nimble to avoid the obstacles in your path. 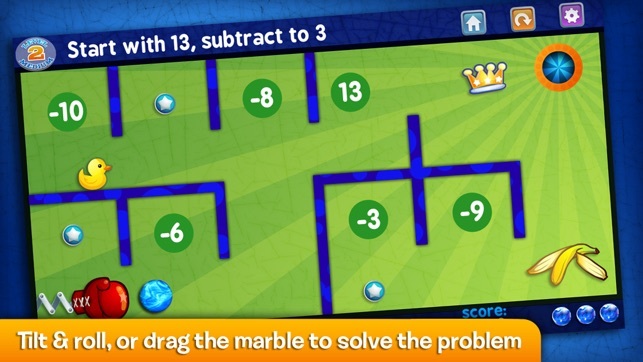 Marble Math Junior gives you the option to replay the question or show the correct answer, before moving on to the next problem. 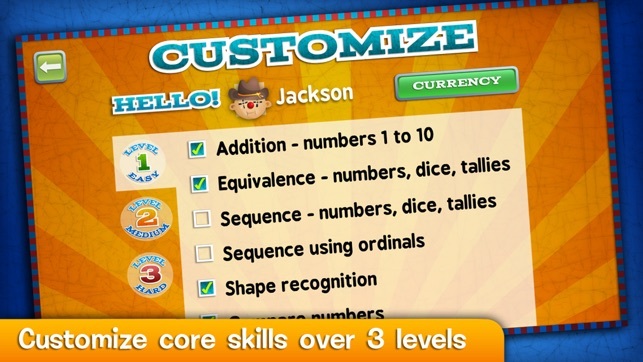 Parents and teachers can customize gameplay to focus on specific math concepts by selecting problem types for each player and level. Additionally, early learners who may not be reading yet can tap on a problem to hear it spoken. 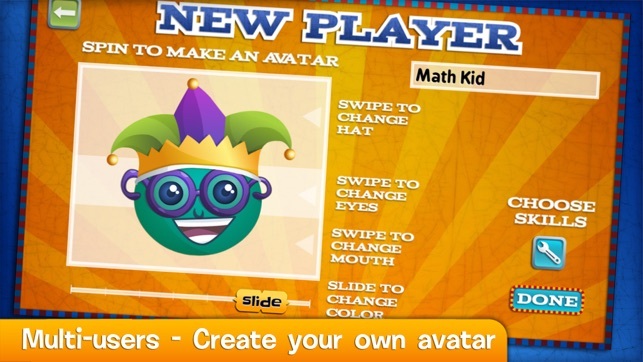 Thanks for playing Marble Math Junior! 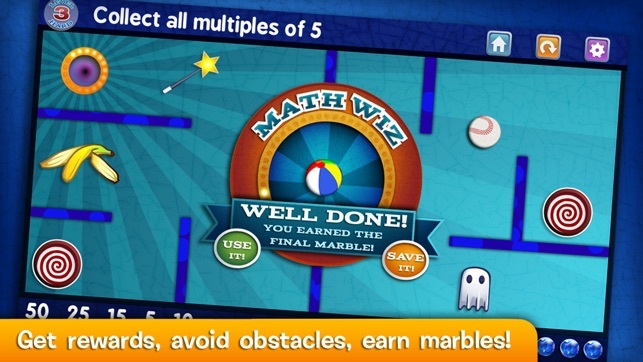 Marble Math Junior has no in-app purchases or third party advertising. After leaving the review below, the company got in touch with me and immediately acted to solve the problem. 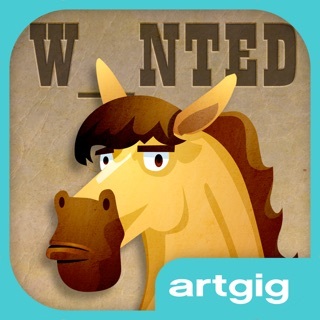 Their games now include the most amazing avatar maker I've ever seen, offering huge diversity of options in portraying players, from the realistic to the funny and fantastical. Five stars for the app, five stars for responsiveness to user concerns. There are no avatar options that represent my child's skin color or hair. That's called a "micro-aggression." It is one of many small experiences children of color face daily that add to their sense of being outsiders in their own culture. In this case, an outsider in MATH. Please rectify this situation and be part of the solution not the problem. Fun, clever, and - math! What a clever way to reinforce math! It's like the classic rolling marble tilt mazes - which are fun in and of themselves - but with collecting numbers to solve math problems. I was able to adjust the difficulty for my two kids so the math was appropriate for each. This is one of the few games they ask to play again! This is such a fun game to play with my family. We can't get enough of it. 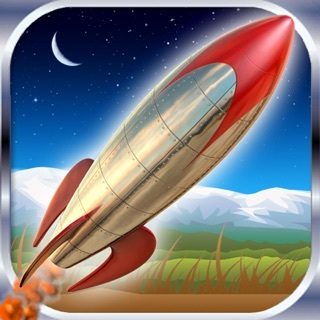 My son is learning so much with this and i am so thrilled that we finally found an app that allows them to play and learn at the same time. Good work. Highly recommended.